Joseph received his real estate license toward the end of 2014 and since then has enjoyed helping his clients achieve their goal of homeownership. What begins as an idea ends with a bunch of signatures, initials, a bottle of champagne and a new set of keys! Along the way, he often finds that he develops a friendship with many of his clients. Sometimes he’s even sad to see the settlement day come because that means maybe he won’t see that client for a while. But rest assured, he will keep contacting them along the way, always asking how he can help them if they find that they or other friends need help in finding a new home. Joseph really enjoys teaching the first time homebuyer seminars, as he finds his education background lends itself to teaching new clients what the whole process looks like, what the terminology of real estate is, and how to craft a winning offer. What seems like a daunting process from the beginning gets broken down into daily tasks and decisions, and before one knows it, they’re a homeowner! 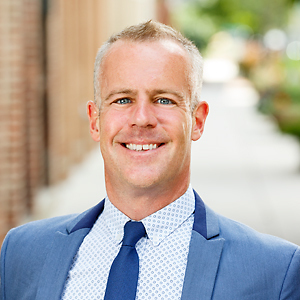 Joe’s knowledge of the DC real estate market includes “beaten path” neighborhoods and other areas that are just beginning to shine as new developments and the city’s rapidly developing economy assist in making neighborhoods change and grow. He has also been published in the Washington Blade – writing several articles about the city and real estate. Joe has also assisted in investment property sales as well as condominium, single-family home, and co-op transactions. Joe looks forward to meeting his new clients and wants to help them feel at home started with that first introduction. “As first time home buyers, Joe was great to work with. He walked us through the home-buying process step by step. At our first meeting, he gave us a book to walk us through the all the steps, terms, and technicalities so we’d be prepared. He helped us find the right property that suited our needs, asking questions along the way to help us refine our search and find a property we loved. He was right by our side through the bidding process and led us along to settlement. We appreciated Joe’s professionalism and expertise, but even more, we appreciated his energy and had a great time working with him.” – Dani & Tommy W.
“I began to work with Joe over a year before I purchased my condo in Mount Pleasant. At that time I wasn’t quite ready to make the purchase. However, Joe was very patent, professional, and responsive to my needs. As a first time homebuyer, I had a lot of questions and Joe was very helpful guiding me through the process and responding to all of my inquiries. He invited me to the homebuyer’s seminar which provided me with a wealth of information and also helped me understand the different programs I could qualify in DC. He also added me to his mailing list which gave me an opportunity to passively look for properties until I was ready to start actively searching. When I was finally ready to start looking at properties Joe was extremely helpful and responsive which made the whole process go very smoothly. I am very happy with my purchase and I would not hesitate to recommend Joe to any person looking to buy or sell a home in the DC area.” -Angel E.